The Beyond season for Elite Dangerous will be free for all players with a number of community-requested new features and enhancements. Chapter One will make space just a little bit scarier for skilled pilots, introducing more effective responses for criminal activities along with a host of other new features, and this first stage of the season will launch on February 27. In space, no one can hear you game. So what better time to check out the best space games on PC? Chapter One’s headline addition is a series of changes to the crime and punishment system. The new Advance Tactical Response will hunt down repeat offenders, and a new “hot ships” system will make crimes attach to specific ships. Notoriety will also increase or decrease in line with your actions, making the galaxy more dangerous the more infamous you become. The introduction GalNet Audio will allow you to catch up more quickly and easily on the latest news. 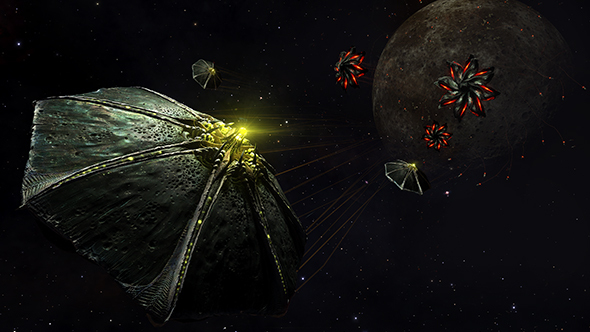 An array of other changes include a new trade data overlay, guaranteed improvements during crafting, an overhauled mission reward system, and a new combat ship equipped for battle against the Thargoids called the Chieftain. Horizon season pass owners will get some additional new features in the update, with tech brokers appearing to trade rare goods based on your personal experience. Material traders will allow the conversion and exchange of materials, making it easier to acquire the resources you need. We spoke to lead designer Sandy Sammarco about the update when Beyond – Chapter One went into beta, and you can get far more details about the new features there.